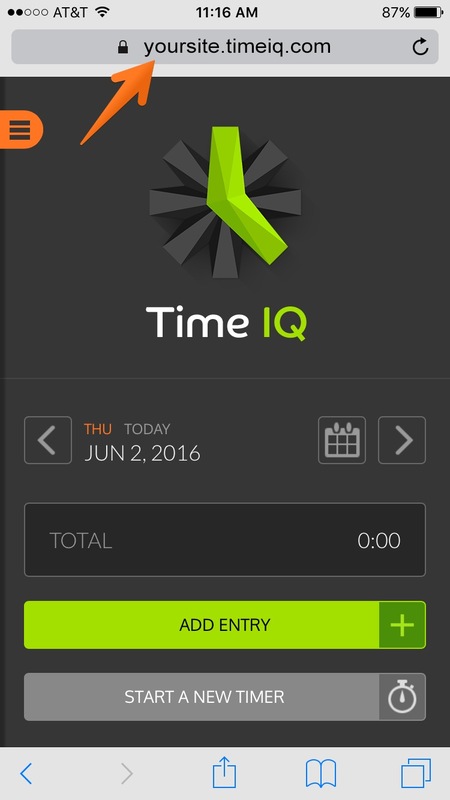 Time IQ offers a native time tracking interface for mobile users on iOS and Android smartphones. 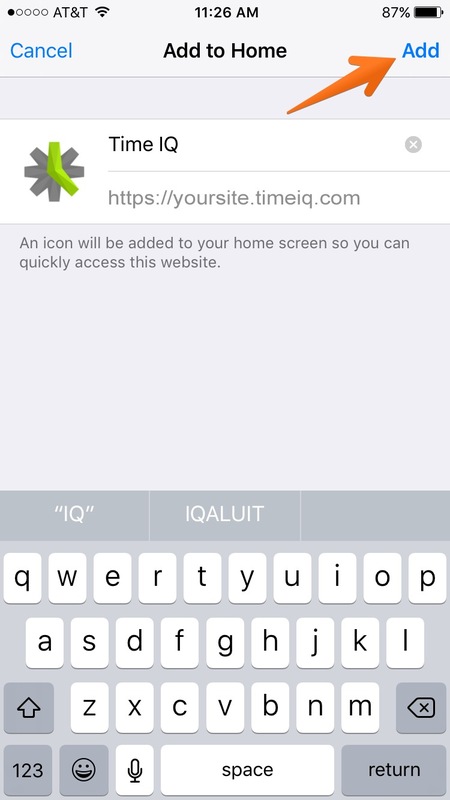 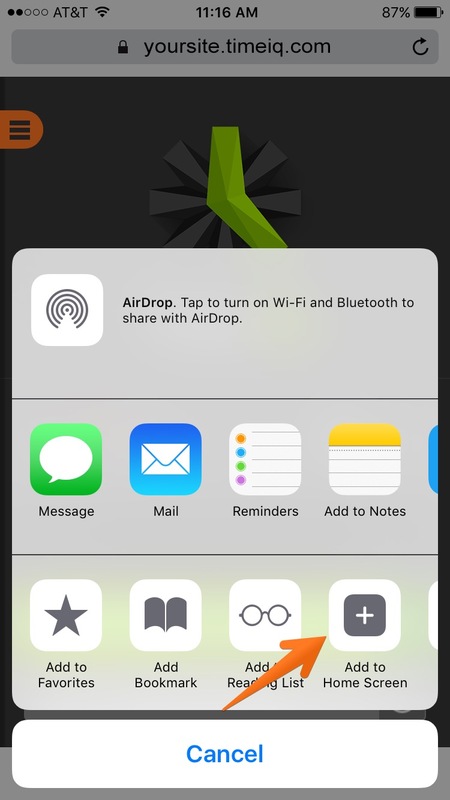 Follow the directions below to install Time IQ on your home screen on an iOS device. 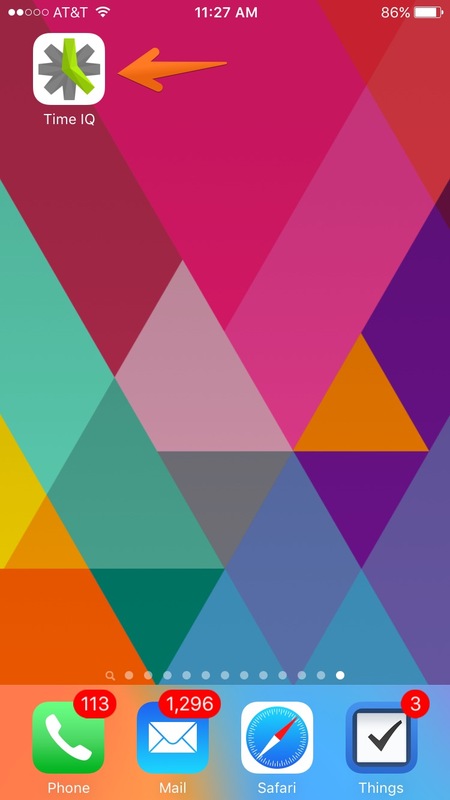 Your URL should look like https://yoursite.timeiq.com.